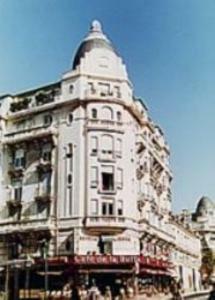 Situated a 15-minute walk from Nice City Centre, this hotel is just 260 metres from the famous Promenade des Anglais. It features a 24-hour reception and Provencal-style guest rooms. Each air-conditioned guest room is equipped with a TV, a telephone and free Wi-Fi. All rooms have a private bathroom. A continental breakfast is served every morning in the dining room at Hôtel De La Buffa. After breakfast, guests can relax in the lounge. Hôtel De La Buffa is located 4.2 km from Nice Cote D'Azur Airport. Villa Massena Museum is only 270 metres away.